99.99% of the time, you don’t have to worry about water damage in your basement. A dry basement is a fantastic family hangout spot, almost always available for your family’s use. Unfortunately, if you’re one of the 60% of homes at risk for basement water damage (according to the American Society of Home Inspectors), your dry comfortable family hangout room might be at risk for flooding – and it could cost you thousands. 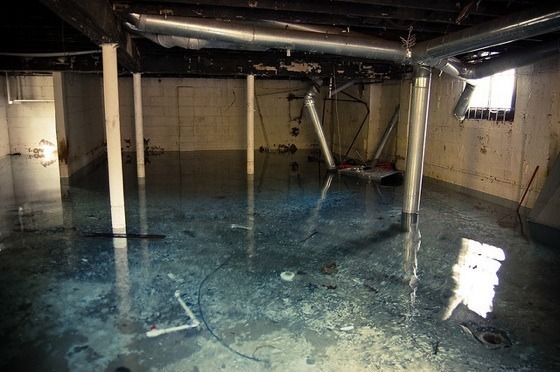 You may be asking yourself “How much damage can water do to a basement?” The answer: more than you might think! As you can probably guess, Category 1 – Clean water is the least contaminated type of floodwater. Clean water can come from faucets, bathtubs, or fresh rainwater and has been sitting for less than 24 hours. Category 2 – Grey water has non-pathogenic contaminants. While not immediately dangerous, these contaminants can still cause illness or discomfort. Washing machine overflows, aquarium water, and washing machine leaks are all examples of grey water flooding. Category 3 – Black water has pathogenic contamination and is unsanitary. Sewage, chemical waste, and any water sitting for over 72 hours are all considered black water situations. Time is of the essence when it comes to floodwater, because even Clean water can become Grey and then Black water if it sits for too long since contamination happens over time. Water begins saturating porous materials, like wood, drywall, and carpeting. Anything made of cardboard or other paper products is destroyed. Carpet and carpet padding become saturated with water, spreading moisture into areas not affected by the initial flooding. Furniture and other wood materials begin to delaminate and swell at this point. The increased humidity begins amplifying any organic odors present in the basement, giving off that telltale “musty” smell. Drywall often becomes unsalvageable after this amount of time. Mold and other contaminants can start growing in as little as 24 hours and can spread to unaffected surfaces. Wood will start to warp, leaving hardwood floors damaged beyond repair. Paint and wallpaper will begin bubbling and peeling. Mold and other fungi will saturate any porous materials they come in contact with and will become hazardous to an occupant’s health. Category 1 water has become Category 3 at this point, and any materials it has affected will either need to be thrown out or need extensive restorative work. The entire basement becomes a biohazard, significantly increasing cleanup costs. Needless to say, the easiest category of water to clean up is Category 1 – Clean water. Cleaning up clean water flood can be as simple as extracting and placing drying equipment. As water moves up the contamination spectrum, restoration costs rise significantly. Extra contamination means extra risk for your family and your home, significantly increasing how much damage water can do to a basement – and your wallet! To prevent this escalation of cleanup costs, call an emergency water mitigation professional as soon as you notice water damage in your basement! 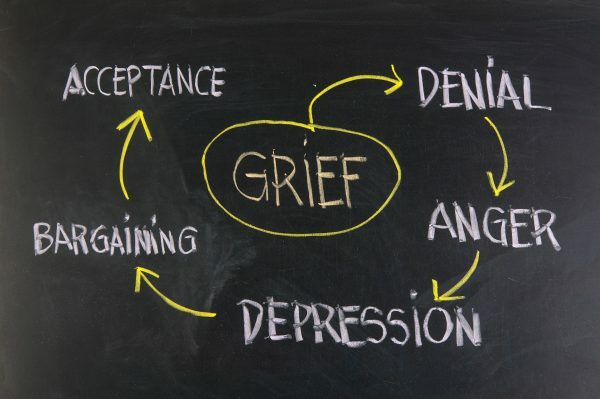 The last thing you want to do is wait too long and end up with a lengthy and costly repair process. Modernistic has been keeping Michigan’s basements dry for over 45 years! 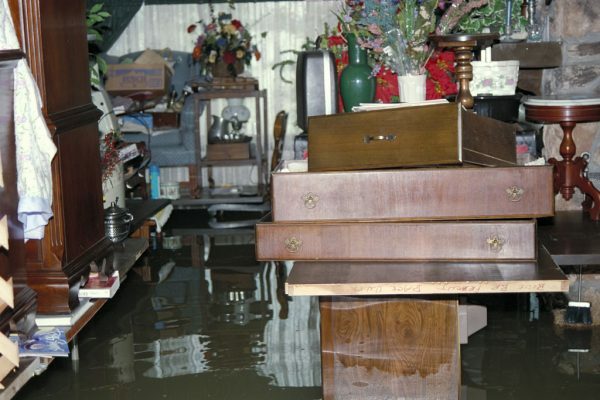 Click here to learn more about what you can do to prevent water damage in your home, and contact us right away if you have a flood in your basement! It always happens around this time of year. Our Michigan springs are notoriously volatile, with temperatures ranging from sunny and warm one day, to cloudy and freezing the next. While Detroit and Ann Arbor residents don’t have to deal with lake effect like Grand Rapids and Lansing, they still have to contend with weather systems pushing up from the south, which can leave them even colder than the rest of the state! (minus the U.P., of course, since they’re basically tundra until May). Springtime in Michigan certainly isn’t gentle, and this fluctuating weather can be incredibly harsh on your indoor plumbing. This sort of spring weather causes burst pipes, leaving us Michiganders with water in our basements and a mess on our hands. Freeze, thaw, freeze, thaw – the weather cycle we experience in spring causes a major strain on your water pipes. Why does fluctuating weather cause pipes to burst? Well, when water freezes, it expands. Ice will take up more volume than water, which is a huge problem in confined spaces – like your plumbing! If you’ve ever had the ice cubes in your ice tray freeze together, you’ve experienced this effect. Even though you put the exact right amount of water in the tray (and it didn’t overflow), the cubes all froze together on the top when you pulled it out of the freezer. What gives? When the water froze, it pushed upwards and out. Having this happen in your ice tray is a minor inconvenience; having this happen in your plumbing can be a disaster! Expanding ice will push against the barriers of the piping, and, given enough pressure, will actually split the pipe. Not good. The worst part is that you won’t even realize it until the water thaws and starts flowing again. Even a tiny, ⅛ inch split can spill up to 250 gallons of water per day! 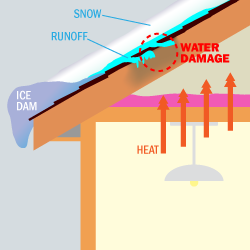 That’s why Michigan spring weather causes burst pipes; the up-and-down temperatures make it more likely that your pipes will freeze, which puts them at risk of bursting and causing a massive flood in your basement. Or bathroom. Or kitchen. Or any room that plumbing runs through. While you should be vigilant all year long (like in the winter, for example), springtime is prime time for burst pipes and water damage in your home. From burst pipes to flooded basements to toilet overflows, Modernistic has been helping Michigan recover from water damage for over 45 years.